Make the most of your March Break mornings by whipping up a stack of homemade pancakes. Task the kids with stirring the ingredients together and ladling the batter into the pan, with supervision. If you don’t mind a little mess, indulge them in flipping the flapjacks too. 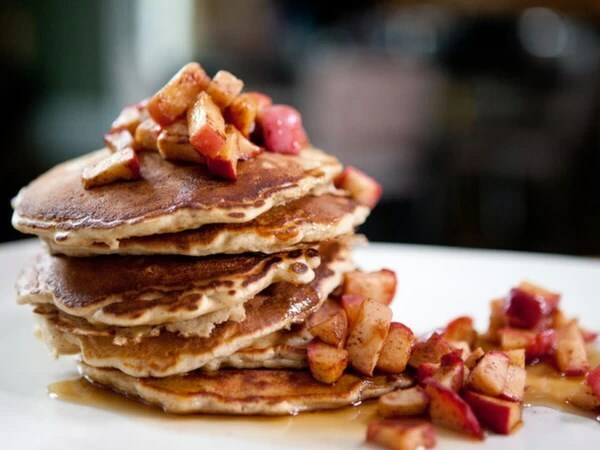 Topped with cinnamon-roasted apples, these pancakes are hard to resist.